A SURE HIT AT ANY PARTY ! Hear Song Clip & View Photos! Hear Song Clips & View Photos! 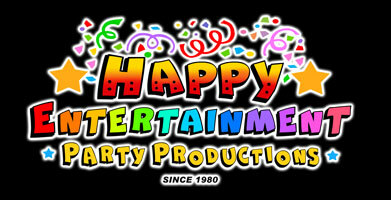 Award winning Happy Entertainment Party Productions has been orchestrating quality family fun events for over 35 years. We provide unique and innovative concepts for corporate party entertainment and personal amusement seven day's a week, 24 hrs a day. We offer musical tributes to such great artists as Young Elvis, Neil Diamond, Tom Jones, Las Vegas Show Girls, and Frank Sinatra.! Our famous "Over The Hill Comedy Show" takes your birthday person through a unique and hilarious experience featuring the Grim Reaper, Father Time, Mother Time. Looking to make someone's day? Then consider a Singing Telegram or Belly Dancer! 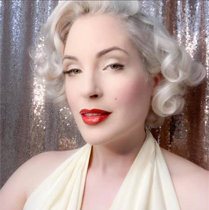 Marilyn Monroe are among our more "famous" performers, along with Mae West. Looking for something more "over the top?" 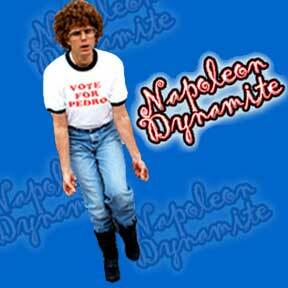 Then consider Harry Bananas, the comedy chicken, our nerds Melvin or Nerdina, who'll drive them up the wall! Our Human Directionals are perfect for any kind of special event or promotion and catch the attention of everyone! Then consider our clowns, face painters, balloon artists, caricature artists or magicians. For the older crowd, we also feature psychics, palm readers and celebrity impersonators. We even offer holiday characters, such as the Easter Bunny and Santa Claus, for your seasonal events. We offer services in Phoenix, Mesa, Tempe, Chandler, Scottsdale, Glendale, Sun City, Avondale, Goodyear, Paradise Valley, Fountain Hills, Peoria, Anthem and Queen Creek. 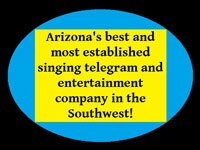 We also offer Custom Singing Telegrams, Special Requests & many characters and impersonators to choose from! 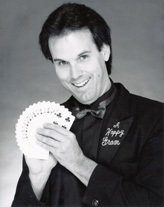 Be sure to visit our magic website - Presto the Comedy Magician. Elvis and Marilyn were absolutely fantastic! I could not have asked for a better pair for our company's Red Carpet Event. They took great directions, improvised, and made sure everyone was enjoying themselves. Ron was wonderful to work with and very knowledgeable. I want to thank Ron and Happy Entertainment for helping create a memorable night! 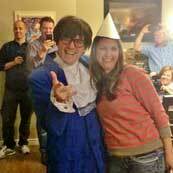 We used Happy Entertainment for 2 celebrity impersonators, Marilyn Monroe and Austin Powers for our company party. Both of these actors were fantastic. Both showed up 15 minutes early and ended up staying a little later than scheduled on their own because everyone was having so much fun. They posed for pictures and acted out in character all night. They assisted with everyone having fun! Ron was very easy and pleasant to work with. Happy Entertainment in all aspects was very professional and was an excellent value. Where Can I Use Entertainment?